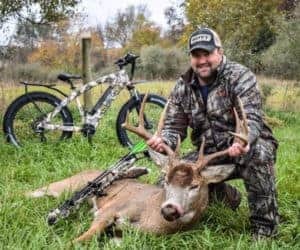 Why Hunt At Performance Outdoors? 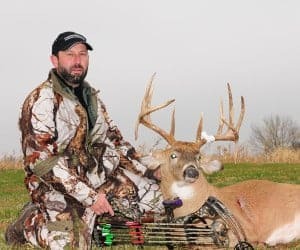 Performance Outdoors offers archery hunts, a small number of firearm/muzzleloader hunts and season leases to our clientele on over 7,000 privately owned and managed acres in West Central Illinois. 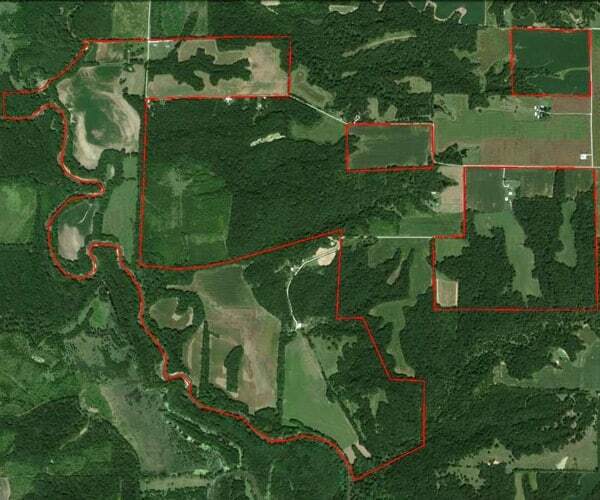 Our farms consist of perfect deer habitat in what is known to be the best big buck hunting area in the world. 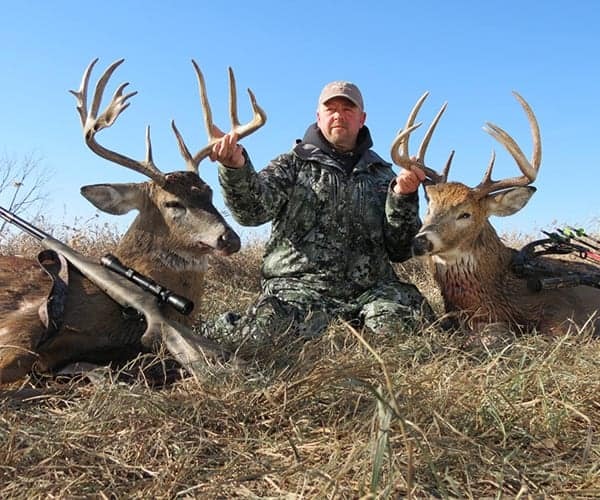 It’s the “Golden Triangle” of Trophy Whitetail Hunting. The area is known as “The Land Of The Giants”. The makeup of the Performance Outdoors experience is good comradery, pleasant and clean lodging, great food, low hunting pressure, Quality Deer Management, and superb habitat. The land consists of timber, CRP, agriculture, creeks, drainages, and many of acres planted into food plots dedicated to feeding and growing deer. Performance Outdoors is a boutique hunting experience. 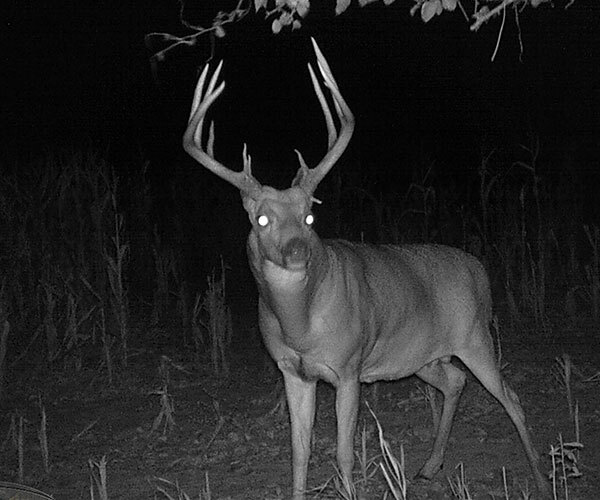 Pressured trophy bucks don’t show themselves much in daylight. 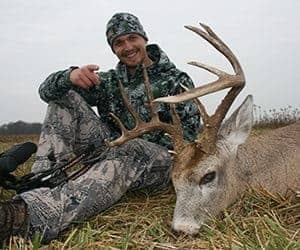 Performance Outdoors prides itself as a great Midwest Whitetail hunting experience with low stress. Performance Outdoors high standards for quality have been embedded since our inception in 1997. 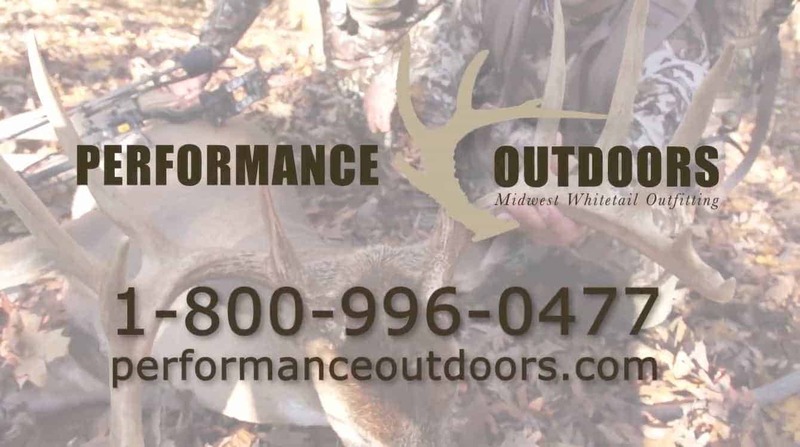 We look forward to having you consider Performance Outdoors for your next Trophy Whitetail Hunting Trip. The makeup of the Performance Outdoors experience is good comradery, pleasant and clean lodging, great food, low hunting pressure, Quality Deer Management, and superb habitat. The land consist of timber, CRP, agriculture, creeks, drainages, and many of acres planted into food plots dedicated to feeding and growing deer. Performance Outdoors high standards for quality have been embedded since our inception in 1997. We look forward to having you consider Performance Outdoors for your next Trophy Whitetail Hunting Trip. Ron and his guides have a top-notch program in place. I have been fortunate enough to have hunted for 4 seasons with this outfitter and have not been disappointed yet. This past fall I harvested by best whitetail to date 163 7/8. I can’t wait for this November for my next opportunity at another midwest giant. Keep up the great job. Thanks again. Performance Outdoors is the best hunting experience in the Illinois area with a great lodge and plenty of food plots & stands. Hunting at the Performance Outdoors farms increased our chances of getting a kill. Did a 5-day hunt last season with Ron and the boy’s a Performance Outdoors….all I can say is what a great group of guides and the grounds we hunted were amazing!!! I had a crack at a deer they ended up killing in shotgun season that grossed over 170” and my buddy shot a nice mature 8 that scored just over 130” Great Hunt great guy’s!! Do yourself a favor and book a hunt, we can’t wait to go back!! !